1. In the end, just three things matter: how well we have lived, how well we have loved, how well we have learned to let go. 2. Peace requires us to surrender our illusions of control. We can love and care for others but we cannot possess our children, lovers, family, or friends. We can assist them, pray for them, and wish them well, yet in the end their happiness and suffering depend on their thoughts and actions, not on our wishes. 3. You hold in your hand an invitation: To remember the transforming power of forgiveness and loving kindness. To remember that no matter where you are and what you face, within your heart peace is possible. 4. The problems of the world need your love. Love is the only power great enough to overcome greed and anger, violence, and fear. 5. What the world needs most is people who are less bound by prejudice. It needs more love, more generosity, more mercy, more openness. 6. Our time is too precious not to love. 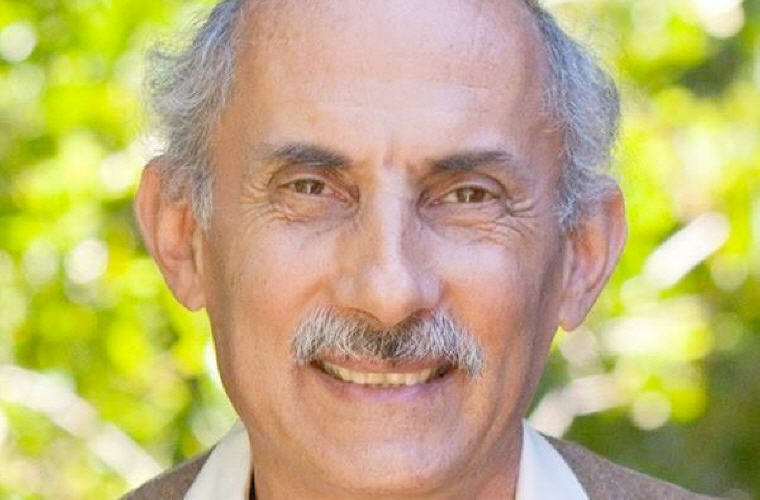 Excerpt from Wikipedia: Jack Kornfield (born 1945) is a teacher in the vipassana movement of American Theravada Buddhism. He trained as a Buddhist monk in Thailand, Burma and India, including as a student of the Thai monk Ajahn Chah. He has taught meditation worldwide since around 1974. 1. To live fully is to let go and die with each passing moment, and to be reborn in each new one. 2. When we come into the present, we begin to feel the life around us again, but we also encounter whatever we have been avoiding. We must have the courage to face whatever is present – our pain, our desires, our grief, our loss, our secret hopes, our love – everything that moves us most deeply. 3. When we get too caught up in the busyness of the world, we lose connection with one another – and ourselves. 4. Like a sandcastle, all is temporary. Build it, tend it, enjoy it. And when the time comes, let it go. 5. To bow to the fact of our life’s sorrows and betrayals is to accept them; and from this deep gesture we discover that all life is workable. As we learn to bow, we discover that the heart holds more freedom and compassion than we could imagine. 6. No matter how difficult the past, you can always begin again today. 7. Each morning we are born again. What we do today is what matters most. 8. The heart is like a garden. It can grow compassion or fear, resentment or love. What seeds will you plant there? 9. As you walk and eat and travel, be where you are. Otherwise you will miss most of your life. 10. If your compassion does not include yourself it is incomplete. 11. The true task of spiritual life is not found in faraway places or unusual states of consciousness. It is here in the present. 12. To let go does not mean to get rid of. To let go means to let be. When we let be with compassion, things come and go on their own. 13. We must be willing to leap into the unknown in each new moment. 14. It is not perfection we must seek, but freedom of the heart. 15. Inside you are a thousand generations of your ancestors, who learned how to survive difficulties. Do not be afraid. You too will find your way. 17. In hard times when you get distracted and reactive, stop. Breathe. Invite mindfulness. Mindfulness sees kindly, without reacting. You know how. 18. Without forgiveness we continue to perpetuate the illusion that hate can heal our pain and the pain of others. In forgiveness we let go and find relief in our heart. 19. Don’t listen to those who stir you up. Don’t listen to others who put you to sleep. Respect them all. Thank them all. Then remember, there is a bird singing only you can hear. 20. Only when our own minds and hearts are peaceful can we expect peace to come through the actions we take. 21. Whatever point of view you have, there’s another. 22. May all beings far and near, all beings young and old, beings in every direction, be held in great loving-kindness. 23. Unhealthy thoughts can chain us to the past. We have to pry ourselves loose from their power. 24. We need to become the sanctuary we seek. 25. Forgiveness offers the heart’s mercy that our hurt and fear have withheld for so long. 26. You don’t have to wait to be free. You don’t need to postpone being happy. 27. Gratitude is a gracious acknowledgment of all that sustains us, a bow to our blessings, great and small, an appreciation of the moments of good fortune that sustain our life every day. We have so much to be grateful for. 28. … without forgiveness the world can never be released from the sorrows of the past…Forgiveness is a way to move on. 29. Forgiveness is fundamentally for our own sake, for our own mental health. It is a way to let go of the pain we carry. 30. The world needs more love, more generosity, more mercy, more openness. 31. Remember the healing power of forgiveness. 32. We have only now, only this single eternal moment opening and unfolding before us, day and night. 33. Before every act there is an intention, though often it’s unconscious. We can mindfully choose a new intention. 34. We can plan, we can care for, tend and respond. But we cannot control. 35. Forgiveness is the heart’s capacity to release its grasp on the pains of the past and free itself to go on. 36. It’s true, we cannot stop the waves of change; they are the very fabric of our lives. Yet we can learn to surf, to be aware, to balance. 37. Everything that has a beginning has an ending. Make your peace with that and all will be well. 38. How we act, how we relate to ourselves, to our bodies, to the people around us, to our work, creates the kind of world we live in, creates our very freedom or suffering. 39. If we practice kindness, then spontaneously we start to experience more and more kindness within us and from the world around us. 40. May we meet the suffering of others with compassion. 41. Conscience understands that we are all in it together, and that when we harm another, we harm ourselves. 42. When we learn to bear our own pain and face our own fears, we will no longer blame and inflict it on others, neither family members nor other tribes. 43. Peace comes when our hearts are open like the sky, vast as the ocean. 44. When we understand the truth of uncertainty and relax, we become free. 45. Without forgiveness, we are forced to repeat the suffering of the past. 46. There are ten thousand joys and sorrows in every life, and at one time or another we will be touched by all of them. 47. Gratitude does not envy or compare. Gratitude is not dependent on what you have. It depends on your heart. 48. The process of such unskillful desire is endless, because peace comes not from fulfilling our wants but from the moment that dissatisfaction ends. 49. If we want to see the nature of our lives, we must actually be present, aware, awake. 50. Living fully means jumping into the unknown, dying to all our past and future ideals, and being present with things just as they are. 51. When we stop fighting against our difficulties and find the strength to meet our demons and difficulties head on, we often find that we emerge stronger and more humble and grounded than we were before. 52. Do not doubt that your good actions will bear fruit, and that change for the better can be born from your life. 53. To find peace in the world we must find peace in ourselves. 54. Wherever we are, we can take a deep breath. feel our body, open our senses and step outside the endless stories of the mind. 55. A great sense of tranquility comes when we let go of the futile urge to control everything, and instead relate to each moment with openness and awareness. It’s not that it is somehow wrong to have plans and ideas—plans and ideas are fine—it is the attachment to these ideas or the excessive reliance on them that causes the trouble. 56. To find peace we have to let go of our struggles, to stop making war with life.